The compact Kinedo Consort shower cubicle is a popular choice for both domestic and commercial installations where space is at a premium. Manufacturer’s RRP from £797 to £855 – so buy here for BIG savings! Compact Kinedo Consort shower cubicles by SANIFLO are a popular choice where space is at a premium. Common applications guest houses, hotels, student accommodation and commercial applications, thanks to its ease of installation, low maintenance and simplicity of design. One of the reasons for the popularity of Kinedo Consort shower cubicles is their reliability. The all-plastic construction is both durable and highly practical, It avoids the potentially costly breakages that can occur with glass. Replacement costs for damaged parts are very low. 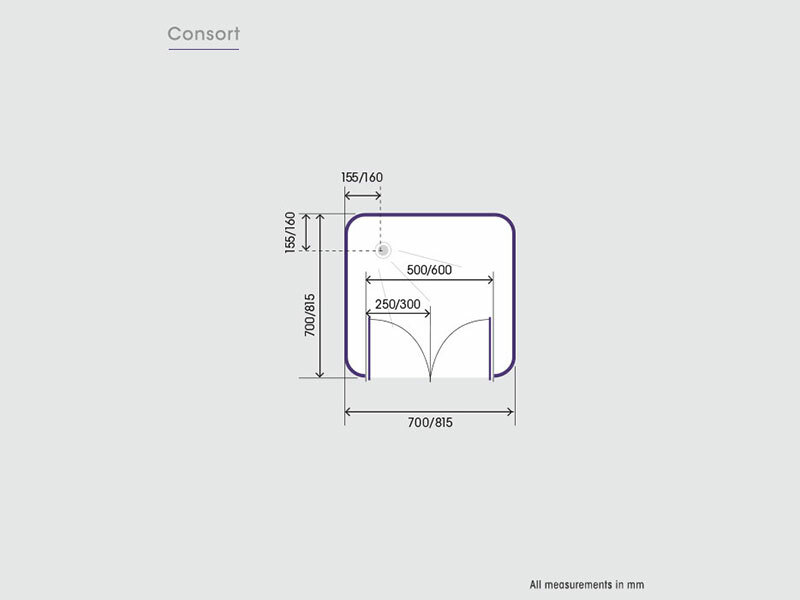 Kinedo Consort installation costs are also minimal. The component parts of the Kinedo Consort fit together simply and efficiently to create a watertight space that requires no tiles, no grouting and no messy silicone. 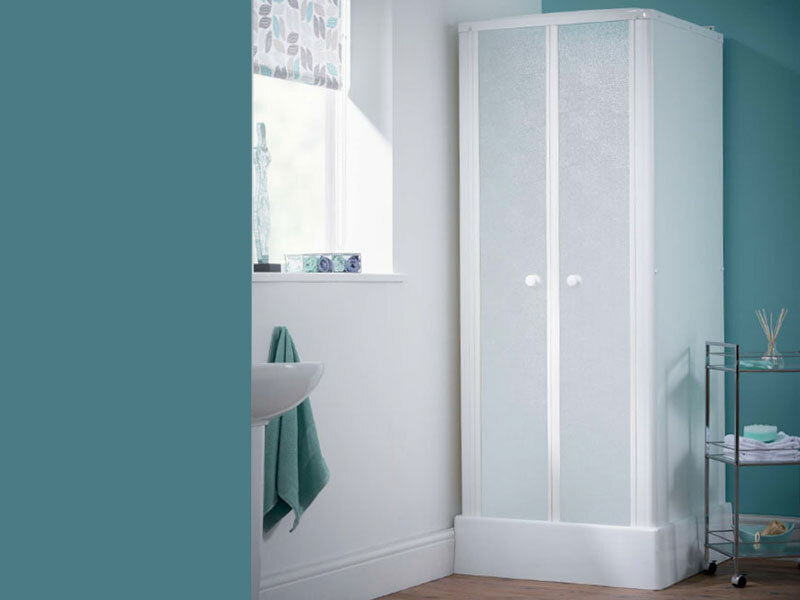 The Kinedo Consort has inward-opening and saloon-style styrene doors for maximum space efficiency and minimum cleaning requirements. It will accept any choice of shower unit. 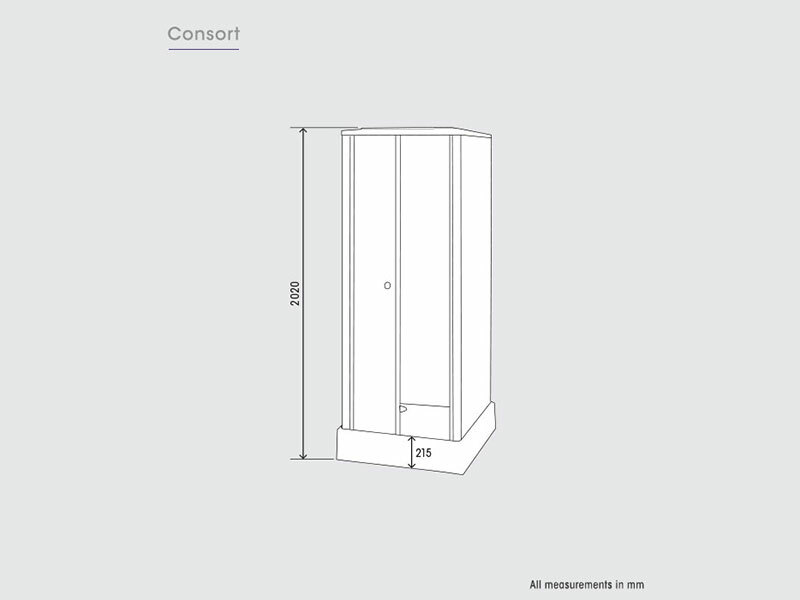 The Kinedo Consort shower cubicle comes in both 700mm x 700mm and 800mm x 800mm sizes. It is the most budget-friendly option in our range. In a humid bathroom, silicone will deteriorate and discolour without constant maintenance. With Kinedo Consort shower cubicles silicone is redundant. 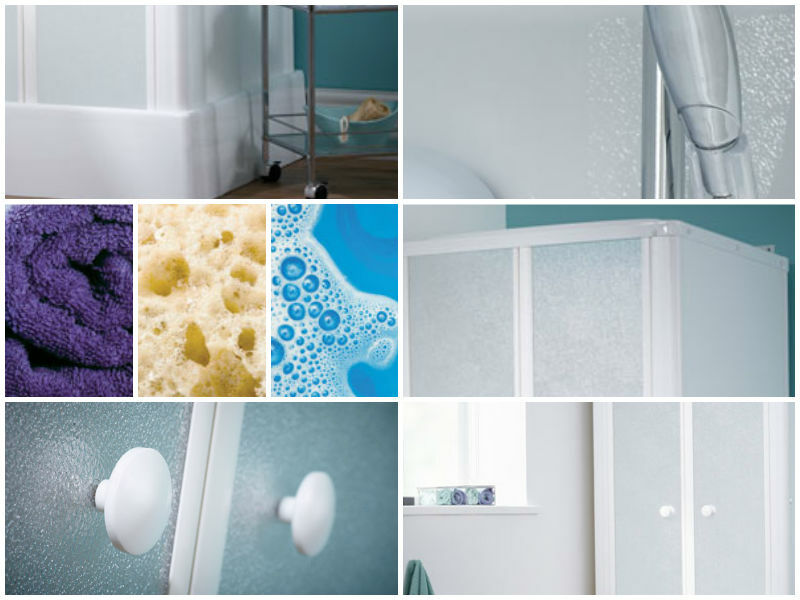 The wall panels of the Kinedo Consort are cleverly designed to fit snugly within the shower tray. All Kinedo Consort shower cubicles are treated with Cristal Plus; a permanent, anti-limescale coating that minimises the build-up of calcium deposits and dirt on glass, reducing the need to clean. This transparent chemical treatment is resistant to hot water and UV rays. Cristal Plus encourages water to run off the glass without leaving streaks or water marks. 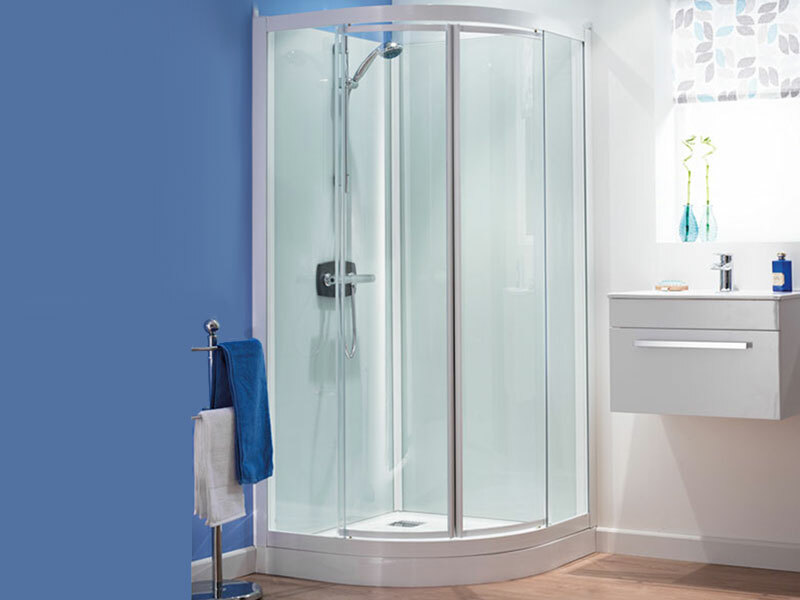 The Kinedo Consort along with all of our SANIFLO Systems and Kinedo Shower Cubicles can be bought online with the reassurance of dealing with the leading SANIFLO & Kinedo Agent in the UK.